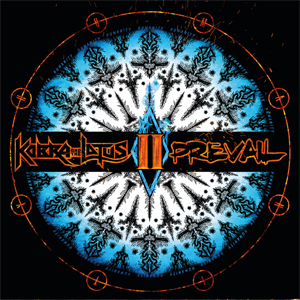 Prevail II is the proverbial yang to the yin and continues right where KOBRA AND THE LOTUS left off in 2017. Set for a release on April 27th 2018 with Napalm Records, the band has now unveiled the cover artwork and track listing for Prevail II! Says vocalist Kobra Paige: "Humanity. One of the greatest struggles of our human existence is to retain it. This sequel album takes a deeper dive into the darkness of our psyche and explores the personal torment and struggle we inflict upon ourselves, one another, and the earth. It has become common place for people to give up on themselves and lose their belief in their abilities and self-worth. This in turn affects our daily actions/behaviour. We are a cripplingly, self-harming species BUT we are also profoundly capable beings of altruism, evolution, and positivity. This album will close the Prevail double sequel on the lightest of all notes by acknowledging that every single person has a desire to be and deserves to be truly seen, loved, and heard. When the ignorance is cleared, we can recognize that we are all in this together." Set for a release on April 27th 2018, Prevail II is now available to pre-order HERE.